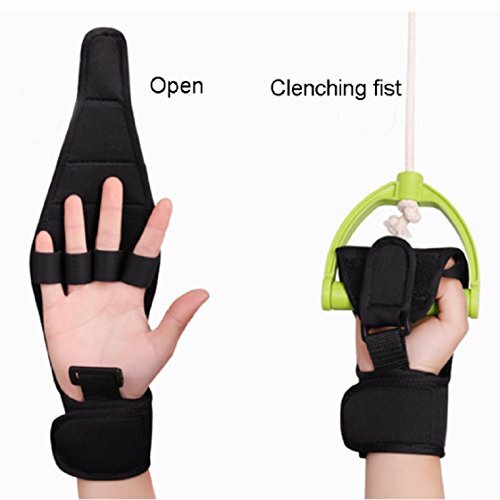 ❋Great for hand joints require rehabilitation treatment patients, such as old man, stroke patients. Get the Jinon, put your worries aside! If you don't like it for any reason, you can just take advantage of our 60 days warranty.We will replace it or give your money back for any reason. ✔Five fingers separated design, can prevent finger cramping. ✔Play the role of anti-skid protection during training ,Weak hands, hand cannot grasp their own, rehabilitation training. ✔Anti-slip wrist design,tightness can be adjusted according to individual need freedom. ✔Great for hand joints require rehabilitation treatment patients, such as old man, stroke patients.Hand joints require rehabilitation treatment patients. ✔One size fit all.Please note that it is not a pair of gloves, just one!